Most people consider Forex trading as a new way to make some easy money. However, it is a high risk investment. 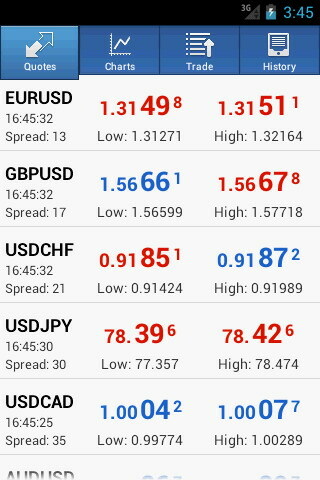 Forex market is very volatile and highly speculative. A 3% change in the value of the currency will make you rich or break you. MetaTrader 5 is one of the popular Forex trading applications available across various platforms. 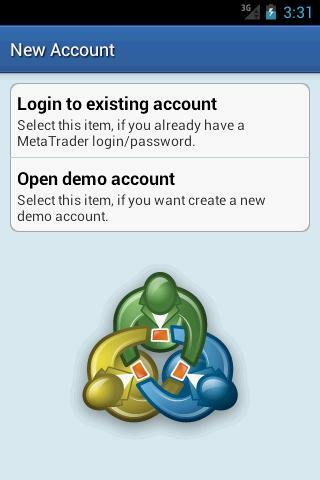 As I had been using its iOS and PC counterparts, I gave a try to MetaTrader 5 for Android. MetaTrader 5 allows users to connect to a broker, receive quotes, make deals, and check trading history all inside the app and works just like the PC version – only now users can trade on the go and be informed on how all of their trades are going. A good thing about this free app is, it allows users to do all kinds of things and make money and don’t charge anything for them to do it. It can tell when you are using a tablet rather than a phone and will adjust its size and charts to fit the needs of the device. Many apps on iOS do this thing seamlessly, but only a few on Android care to do. Everything is set up in a way that everyone can understand and make the best decisions on what they want to buy or sell. Users can connect to their account or create a demo account to run the app. They can also connect multiple accounts to the application at once so that they can buy and sell on different accounts without the need to sign out and sign in to another. The charts are real time and interactive with a zoom and a scroll. Metatrader 5 comes with the 14 most popular indicators to let users keep a watch on markets. On the downside, this app cannot be moved to SD card, so it uses the device memory space. It also consumes a lot of battery life for real time updating. MetaTrader 5 requires Android 2.2 or up. As I said, this application is also available for Windows PCs and iOS devices. MetaTrader 4 is another interesting option to mobile Forex trading. If time permits I will come up with the review for the same. Steve bought an iPhone in 2009 with no idea what it could do to him. Now he is into the world of mobile applications, specializing in iPhone app reviews. He scours the App Store several times a day to find the very best iPhone applications. I do some FOREX trading, but most of my FOREX income comes as an affiliate. I frequently travel so trading on the go is good option for me. Another way to kill some time in the train. Just like stocks and commodities, Forex is another interesting option available in many countries…Great to hear it keeps you occupied.